What type of reports can I create? Depending on your plan, various reports are available. Solo plans do not have access to reportings. Starter plans have access to Listening and Competitive reports templates. Customisation, download and automatisation options are available in Enterprise plans. 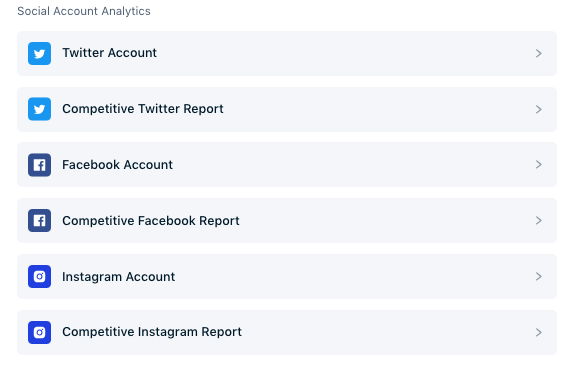 There are two types of reports: the ones focusing on the statistics of your alerts, and the ones about your social media accounts performances. Let's dive into the reports about your alerts! Listening report: This template enables you to get statistics on one alert of your feed. It will display all the essential KPIs on this alert: Volume, Sources, Locations, Languages, Sentiment, Influencers, Reach, Hours/Days, Topics. Competitive report: This template shows you these statistics comparing up to 10 alerts. Mentions report: This report enables you to create a list of mentions. 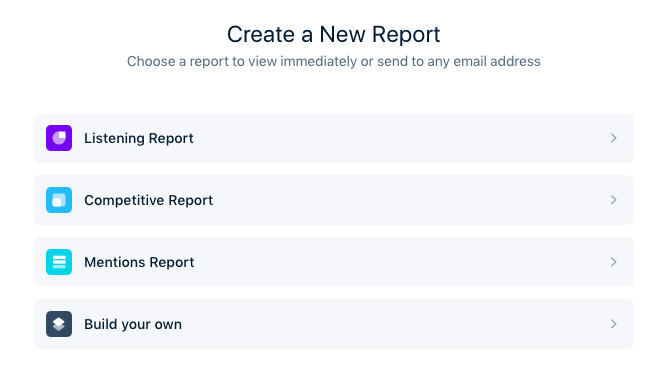 Build your own: The "Build your own report" ensures you to create a customized report from scratch. Now, let's focus on the Social reports (available for Starters and Enterprise Plans). 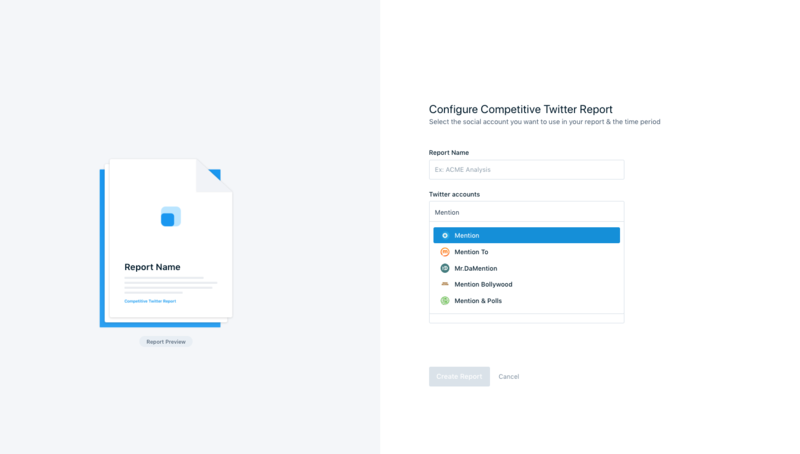 These reports will enable you to better understand your social account performances or compare yourself to competitors. 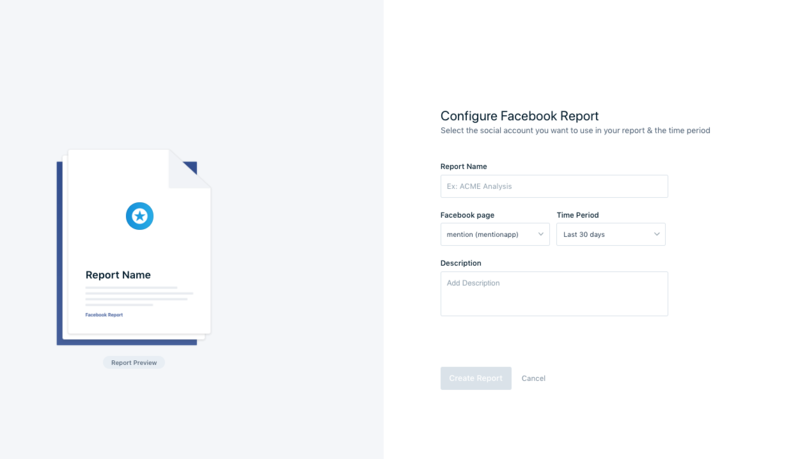 This type of reports requires your social media accounts to be connected to Mention. It will enable you to get precise information about your social performances by showing you impressions and engagement figures. To learn how to connect your social accounts to Mention, read this article. No need to connect your account to Mention to create this report. All you have to do is copy-paste the url of the account you would like to monitor. Thanks to this report, you can compare from 2 to 5 accounts at the same time. This report can be helpful for benchmarking or browsing content strategy. NB: For Facebook and Instagram, you can only add Business Accounts.